Below are the historical updates to the K&D Web Site. 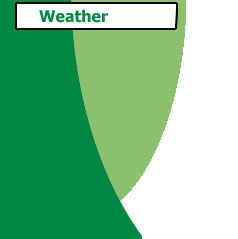 Take a look and see how many items we have added and when we added them. January 2003 - Happy New Year to everyone! We have lots of new items available for the New Year, including a selection of Ato Grass hand bags. Click here for the first page, and here for the second page of these items. September 2002 - We have a new series of our very popular coconut hand bags. Take a look at the latest styles by clicking on this link. May, 2002 - We have updated our entire Furniture section, and added many new items. Please be sure to check it out by clicking here. Many new chairs, tables, sofas, etc. have been added, based on your feedback and popular demand, and we will be continuing to add more over the next several weeks. April, 2002 - Items made from Ato Grass are very popular and much requested by our customers. We have therefore added 9 new Ato hand bag designs, in addition to a variety of Ato items, such as jewelry boxes, baskets, and tissue holders, etc. Click here to see these fantastic new additions. Also added, a special report on the best beaches in Bali. Check it out when you get a chance, or when you are planning your next vacation. February, 2002 - We added 9 more new, gorgeous, and unique hand bag designs made from Ato Grass, from Karangasem, in Eastern Bali. We also added an entire new section on what to do and see while in Bali, along with detailed maps for each of the 8 districts. We also added 11 more new hand bag designs, featuring cotton designs. January, 2002 - Many new items have been added to our web site, including colorful kites, hand painted didgeridoos, new wall hangings, and masks from the neighboring island of Lombok. In addition, 9 new hand bag designs were also added. Also be sure not to miss our gorgeous and unique leather furniture items, as well as dried flowers. 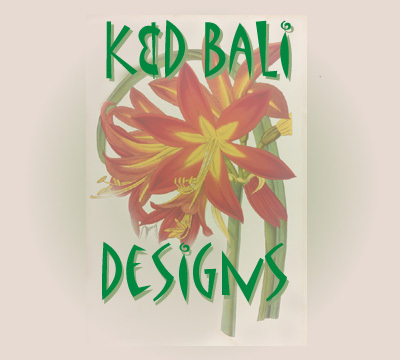 Copyright © 2001-2003, K&D Bali Designs. All rights reserved.